I just love the imagery of this week’s inspiration. 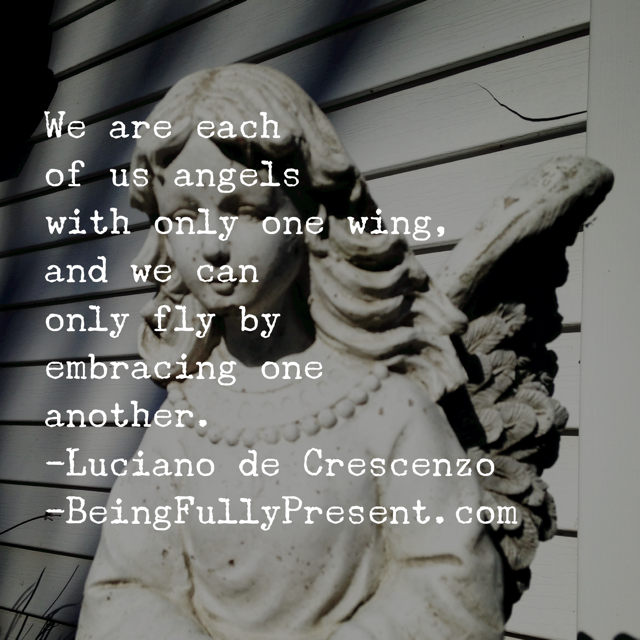 What could one angel do with just one wing? But, if one angel had one wing and another had one wing, and they agreed to hold on tight, couldn’t they do amazing things together? I may not be able to do some great thing on my own. You might not be able to do some great thing by yourself. But if we help each other, couldn’t we do great things together? Could we fly as if on angel’s wings? Photo taken during a November walk around Walton Lake, Ohio. Isn’t she beautiful?